So here's that screenshot showing off how nice the [Skywitch's Drape] coordinates with our current guild tabard. I still like the looks of the [Spell-Slinger's Protector] best, but this isn't too terrible. I'd like to also take some time to introduce you to my current horde (sorry) of alts. I realized over the weekend that Wara's done with almost all of his solo content (at least for the moment), so I'm going to decide who's coming up next. Recommendations? 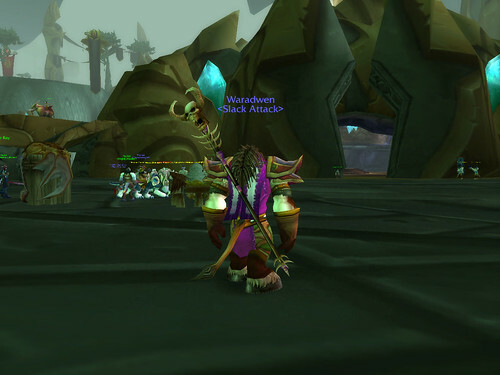 First, my eldest alt, Waradwock. He's a 25 Tauren hunter with Echeyakee as a pet. 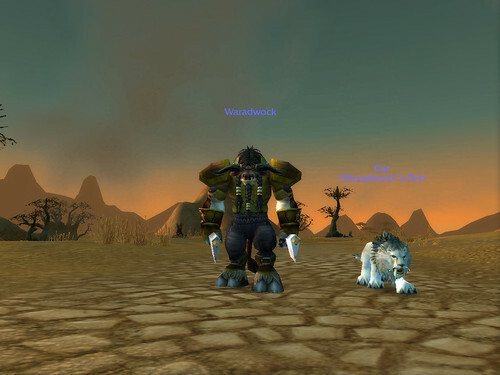 I love his look and am having fun with the pet, but I don't think I can do the Tauren storyline immediately again. There's just so much more to explore, right? Next comes Morningwar (sense a theme in my names? 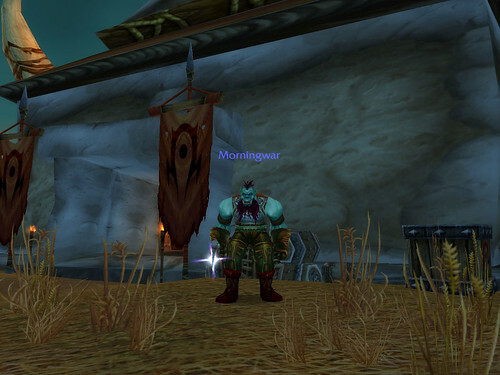 ), a 13 Orc warrior. I'd like to learn how to be able to tank with Wara but don't want to, you know, learn at level 70. Seems like that'd be frustrating. I do like the bloodlust and violence available through Orcs and warriors, so this seemed like a really nice combination. 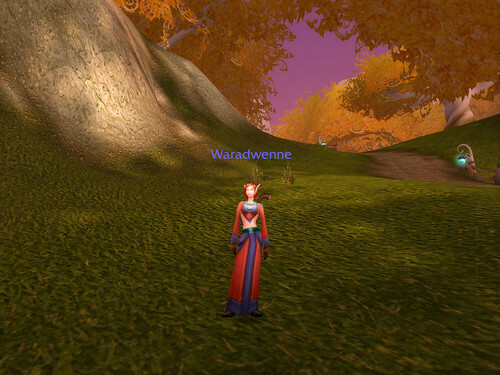 Last on Arathor is Waradwenne, a level 8 Blood Elf mage. A girl, of course, 'cause I think male belfs look hella-stupid. New story, new lore, new gameplay (and fun pew pew!) but I also started a Belf warlock on another server to play with some other friends (Waradin, on Steamwheedle Cartel), so there could be a lot of repetition.